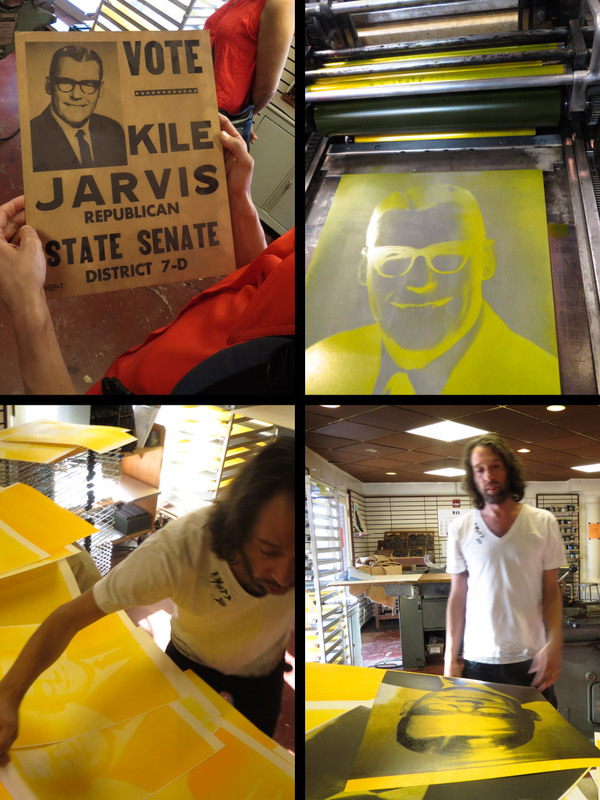 Today at the Book Art and Letterpress Lab at the University of Arizona we met Chris Fritton, who travels as “The Itinerant Printer” across America throughout this year, visiting letterpress printshops in about every state. Chris sees his mission not only as an adventure in printing (he uses only the collection of type, cuts and plates of the places he is visiting to keep all on-the-road-prints individual) but also in connecting people, sharing information and capturing the spirit of the analog revival. 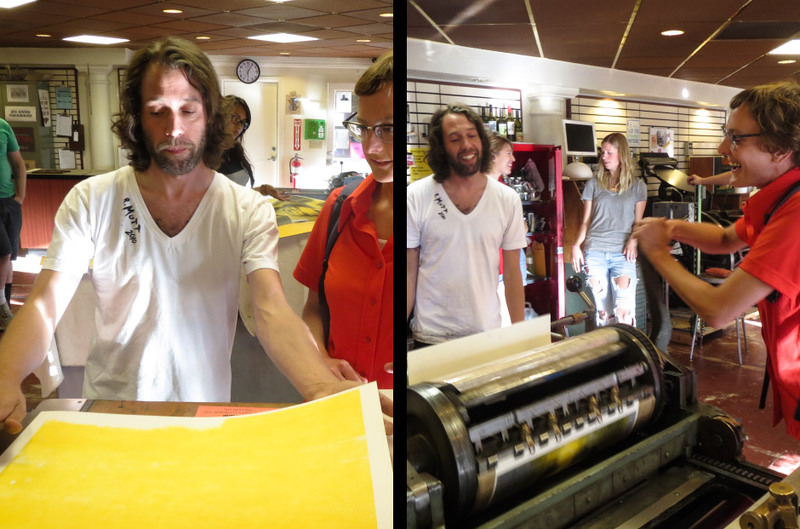 This was a very nice and inspiring meeting, so be sure to visit your local printshop when he’s around. Of course there’s lots of beautiful print souvenirs to get for fair prices too. Right now the route leads him through the Southwest, going up the West coast next – just check the route on his website.